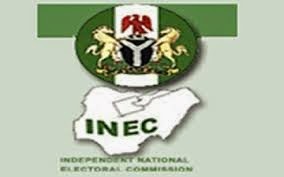 There was mild drama Wednesday as the Resident Electoral Commissioner for Imo State, Dr. Gabriel Ada failed to give the accurate number of registered voters and the number of Permanent Voter Cards (PVC) collected in the areas where the Commission will conduct supplementary governorship fixed for April 25. INEC had while declaring the governorship election inconclusive, given the figure of registered voters in the affected areas as 144715, which was higher than the margin with which the All Progressives Congress (APC) governorship candidate, Governor Rochas Okorocha was leading his closest rival, Emeka Ihedioha. But Ada who briefed journalists Wednesday, could not confirm the figure or disclose the number of PVC distributed in the areas. When pressed further, the REC, who had come under fire for the alleged compromised role of the Commission during the Presidential and governorship elections in the state, said that “the number is approximately between 145,000 to 150,000 registered voters”. He also stated that the number of PVC collected will not form a threshold for the number of voters that will participate in the supplementary election, adding that “those that did not collect their PVC before the election still have the opportunity to do so because only those with their PVC that will participate in the election”. The REC who was not also emphatic on the number of Polling Units where the scheduled election will hold, said that “the election will hold in over 200 Polling Units in 23 Local Government Areas of the state”. He announced further that the APC won 16 seats in the House of Assembly elections, while the election was inconclusive in six constituencies and has been rescheduled to hold on the same date with the supplementary election.